The Office of Sustainability would like to announce the publication of our new Sustainability Toolkit for Meetings and Events. 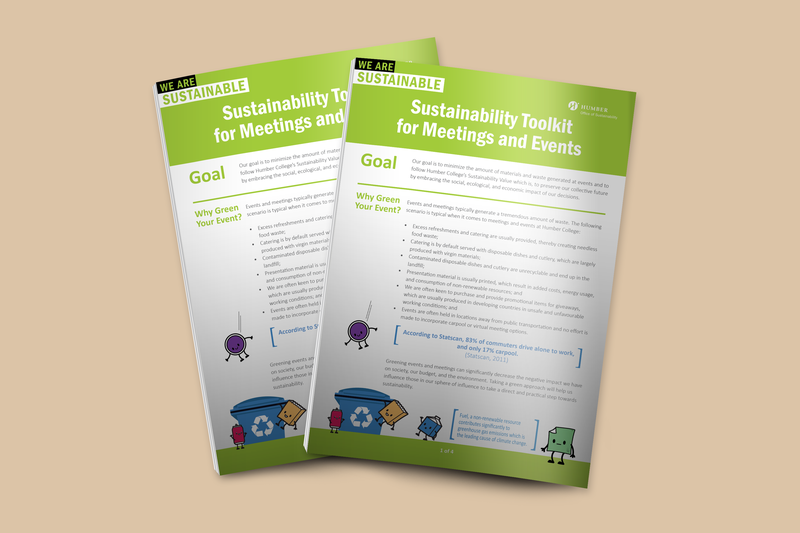 This guide will help faculty, staff, and students integrate more sustainable initiatives and facets into their meetings and events. Our goal is to minimize the amount of materials and waste generated at events and to follow our Sustainability Value which is, to preserve our collective future by embracing the full impact of our decisions. We have implemented tips and tricks that are fully applicable at Humber College. We welcome you to download and share the toolkit with your friends and colleagues.